The mobile app is available to download on all iOS and Android devices. 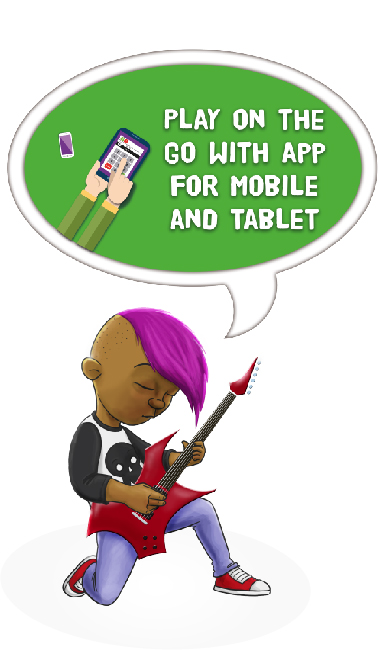 This allows students to play on portable devices when outside of the classroom. With the app you can play all 4 game types, customise your avatar, shop for your avatar and view leader-boards. You can also play offline meaning if you are in an area with poor internet connection or do not have internet access you can still practise. Included free in family subscription meaning no extra charges. Quick load feature so no long waits to get started. Designed for touchscreen devices, so very easy to use. Play offline to conserve data allowances. Available on iOS and Android for easy accessibility.